There will always be a place in high school football for a player like Jaden Flake. 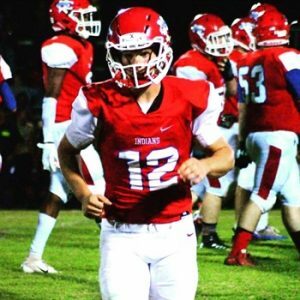 Flake, a Class of 2019 MLB, who doubles, on offense, at fullback, is only 5-8 inches tall and weighs 185 pounds. His is a stature colleges which will probably be seldom recruited, especially if he wants to continue at the next level playing middle linebacker, however that shouldn’t ever be misconstrued as meaning he can’t be a Friday Night Superstar. A Friday Night Superstar is exactly what Jaden Flake is. Entering last night’s game with Creek Wood, a game the Indians would win, running their overall record to 5-0 with a 2-0 district mark, Flake had 74 tackles in four games with a forced fumble, a quarterback sack, and 6 tackles behind the line of scrimmage. 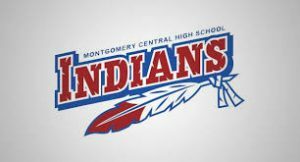 That, ladies and gentlemen, is why Jaden Flake from Montgomery County Central is this week’s recipient of the Montgomery County Player of the Week. Congratulations to Jaden Flake for being our Meeks & Meeks, Attorneys, Montgomery County Area Player of the Week!